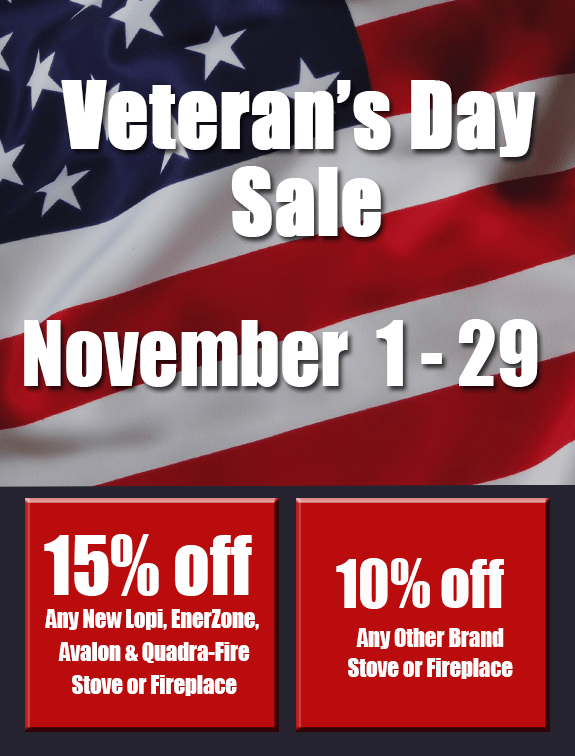 This Veterans Day we honor those who have served by offering all military members 10% – 15% off select stoves, fireplaces and inserts. See details below. Click HERE to browse Fireside’s large selection of stoves and fireplace inserts today!